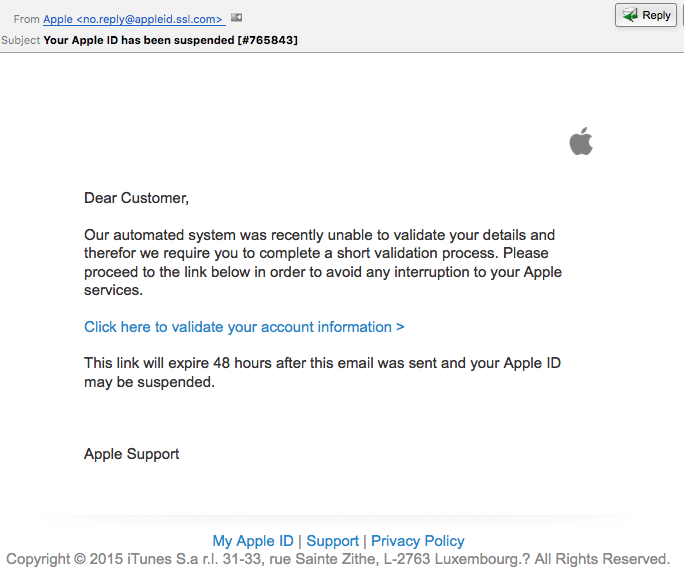 This morning I received an e-mail claiming to be from Apple. The e-mail said that my Apple ID has been suspended. This is obviously a scam, but I wanted to check it more thoroughly. First I wanted to see if my Apple ID had really been suspended. I started the iTunes app and logged into my account successfully. This kind of simple test can save you from a lot of trouble. 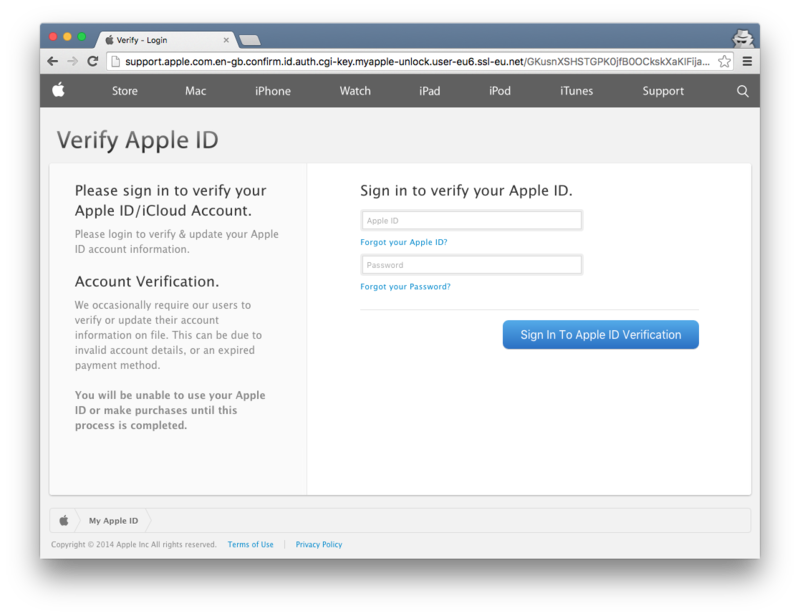 The long domain name: support.apple.com.en-gb.confirm.id.auth.cgi-key.myapple-unlock.user-eu6.ssl-eu.net. Virustotal detection ratio for the phishing URL is 4/65.